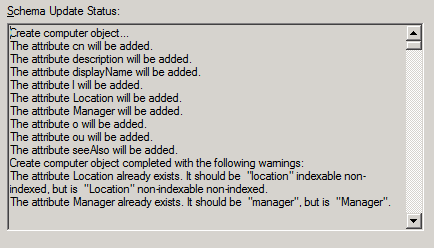 When you try to run an Full import run profile on the MIMMA, you get an error message in the MIM GUI. Unable to run the management agent. The server encountered an unexpected error while performing an operation for a management agent. 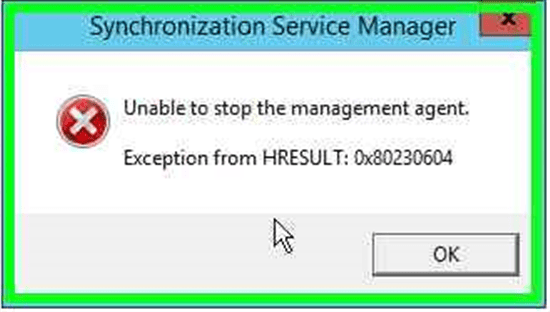 When you try to stop the run of the MIM MA you get an error. 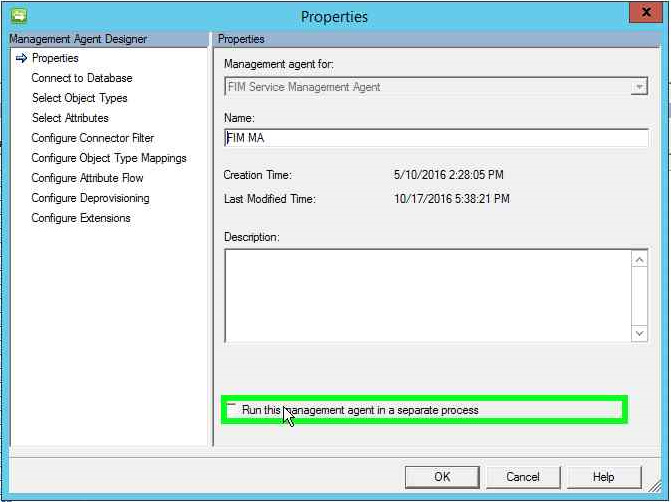 The option “run the management agent in a separate process” is activated. 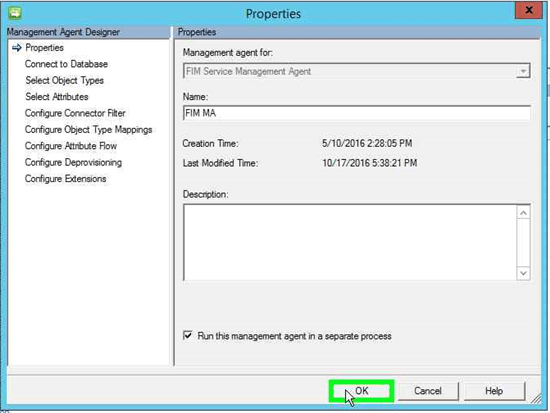 Uncheck the option “Run this management agent in a separate process” from the “Configure extensions” item in the management agent properties.